Professor James Stark Koehler was a pioneer in metal defects and their interactions. During wartime, he studied deformation of metals and measured self-diffusion in uranium. After the war, he formulated the first accurate theory for the motion and damping of pinned dislocations. At Illinois, his students perfected methods to quench point defects into very pure metals and to study their properties and subsequent interactions through careful temperature-time sequences of annealing. He led a comprehensive program of radiation damage investigations, with studies of both metals and semiconductors. After visiting Cambridge in 1957, he organized the first Illinois capability for direct study of defects in solids through transmission electron microscopy. The classification scheme proposed by Koehler’s group, identifying the mechanisms involved in the various stages of radiation damage annealing in metals, was often challenged but remains in place today. Koehler was born November 10, 1914, in Oshkosh, Wisconsin. His study of physics began in the local college (now the University of Wisconsin, Oshkosh), where he graduated in 1935. For graduate study he went to the University of Michigan, then notable for its summer symposia on theoretical physics, which began in 1928. These symposia brought leading theoretical physicists from Europe to spend their summers in Ann Arbor. At Michigan, Jim did theoretical research, on hindered rotation in methyl alcohol, with David Dennison, discoverer of the spin of the proton. In his 1940 thesis, Jim acknowledged Professor Dennison’s stimulation and also thanked Professor H. M. Randall for his “encouragement and advice”. Randall, beginning in 1910, had built Michigan Physics into a prominent department. It was in Ann Arbor in 1938 that Jim met his future colleague Frederick Seitz, one of the summer lecturers. Michigan awarded Koehler a Rackham Traveling Postdoctoral Fellowship, which he used at the University of Pennsylvania with Seitz. At Penn his research interests changed to the theory of solids, in particular to problems of mechanical deformation, and his second publication was already in this field. The next year he went to Westinghouse as Research Fellow, one of the positions created in Pittsburgh by Ed Condon, as associate director of research. Koehler became a physics instructor at Carnegie Tech in 1942, where a substantial commitment to research in the solid state was being made, and he set up an experimental lab, funded by the National Defense Research Committee. His original focus was on plastic waves in metals upon impact. By 1944 Koehler joined the Manhattan Engineer District, to study effects produced in solids by irradiation. One of his many contributions was measurement of the self-diffusion activation energy of uranium, which was used to calculate the change in shape of the cylindrical uranium slugs in the Hanford plutonium producing reactors. After the war, the new Office of Naval Research in 1947 began support for his work on plastic deformation. In 1949, Koehler was invited to join the new Illinois department program in condensed matter physics. Koehler moved his Navy equipment to Urbana, and ONR support continued through 1970. Upon his arrival, substantial support from the Atomic Energy Commission began for a program in radiation damage, which used the Illinois cyclotron. Later his dream was realized to have a dedicated facility for “simple” radiation damage (2 MeV electrons) in the new Illinois Materials Research Laboratory. Koehler also enjoyed years of research support from Army Research Office (Durham). Altogether, Koehler supervised 45 doctoral dissertations, seven at Carnegie Tech (now Carnegie Mellon University) and 38 at the University of Illinois Urbana-Champaign, where he enjoyed the contributions of over two dozen postdoctoral associates and the presence of frequent visitors from other research centers in defect physics. In part because of this widespread scientific family, and in part because of his pioneering discoveries, Koehler had a big presence at many international conferences on defects in metals. In theory, Koehler continued personal research on defect problems and he supervised the work of several students in dislocation-related theses. In experiment, his students and associates used many different techniques: internal friction, macroscopic deformation, electrical resistivity, X-ray diffraction, energy release, transmission electron microscopy, X-ray anomalous transmission, proton channeling, and the emission of channeling radiation. Koehler’s publications span 57 years. Among the achievements of Koehler’s many students and postdoctorals were prominent careers in industry (Bell Laboratories, General Electric, Philips, several aerospace companies, and others), of teaching and research at universities (among them Columbia, Illinois, Missouri, Northwestern, Utah, Wisconsin and abroad in Tokyo, Seoul, and in Europe) and of research and administration at national laboratories (Argonne, Oak Ridge, Sandia, and abroad in Japan and Germany). 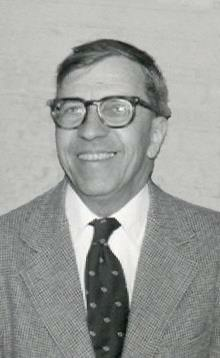 Koehler was a Fellow of the American Physical Society and was awarded a J.S. Guggenheim Fellowship. He retired from teaching in the summer of 1981, and that fall attended the Yamada Conference V on Point Defects and Defect Interactions in Metals, Kyoto, Japan, where he was honored by his many colleagues who had spent periods of time in Urbana. His name is easily attached to some fundamental properties of defects in crystals. The Peach-Koehler formula gives the basic relation now widely used for the force on a dislocation in terms of an applied stress and the Vibrating String Model is the first formulation of the equation of motion underlying dislocation dynamics. Almost nobody believed Koehler’s 1952 prediction of L2 and L4 loop segment length dependence of the elastic modulus and internal friction, respectively, until 1956 measurements by Thompson and Holmes of Oak Ridge National Laboratory showed it to be correct. Thereafter, this signature became the standard for identifying dislocation losses, and one of the most sensitive detectors of interstitials available. Basic results in radiation damage were the Cooper-Koehler-Marx experiment, the first to show that interstitials move at very low temperatures in metals, which meant that previous room-temperature measurements were of little use in understanding the atomic details of radiation damage; and the Magnuson-Palmer-Koehler experiment, the first to show the existence of interstitial-vacancy close-pairs. Extensive further work, on interstitial-impurity interactions, demonstrated that these interactions, specific to each impurity, play a decisive role in the annealing of radiation damage. Finally, the Bauerle-Koehler experiment on gold first showed convincingly how vacancy properties can be studied quantitatively by rapid quenching and systematic annealing. Jim Koehler was an inquisitive, critical and cheerful man. Every morning he would appear in the lab, often with a glint in his eye and the greeting “I’ve got a wild idea!” This frequently led to critical discussion and sometimes to experimental exploration and improvement. He was tightly focused when working on a problem, he spoke and wrote economically, and he could ignore bureaucratic demands. Koehler had many scientific visitors, for example, Gunther Leibfried of Jülich. Although their personal styles could only be described as complementary, their mutual focus and honesty about the basic questions of defect physics, not to mention tennis, drew Leibfried and Koehler together, with Leibfried making annual visits. Jim and his wife Harriet entertained warmly and often in their home in Champaign. Local students and staff got to meet many internationally-known personalities in defect physics informally in this way. The Koehler’s interests in music were obvious. For a time, their living room was filled with two grand pianos, which Harriet and her friend Betty Seitz played together. Jim loved reading, upon which he increasingly relied for pleasure in his retirement. In later years, he was devoted to the welfare of Harriet, who even as her health deteriorated before her death six years before his, retained remarkable talents on the piano. He died in Urbana on June 19, 2006.